We have been seeing quite a few of these bogus emails that appear to be from AMAZON. 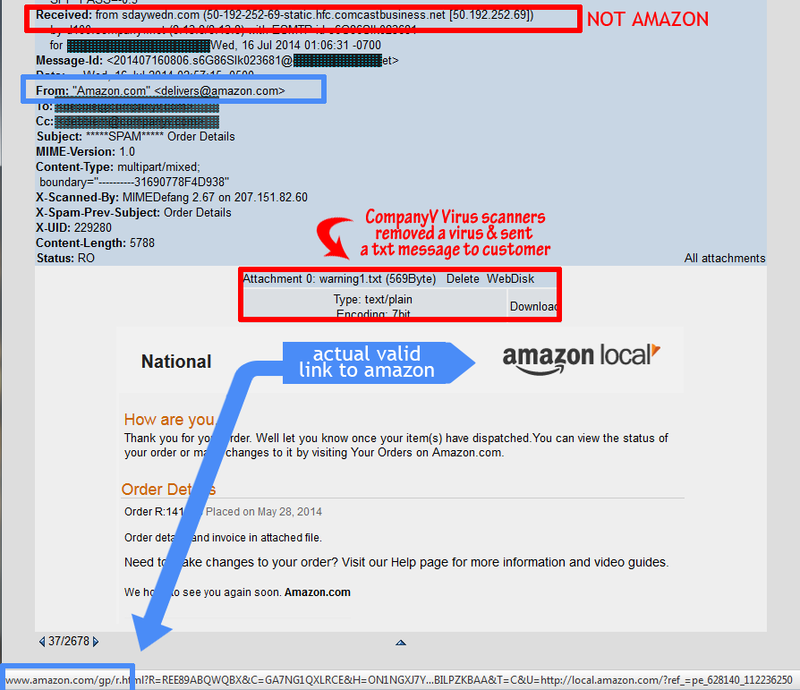 The CompanyV virus scanners have been good about removing the virus attachments but you should be very careful about emails that appear to be from Amazon – do not open attachments or click on links – instead log into your amazon account to check status! You can see that for the message below the link is TO Amazon.com and the from also appears to be from amazon.com but the actual sender is a server at comcastbusiness.net and they are horrid about not managing spam and abuse. What happens when you call Comcast? On another note – you can formally comment to the FCC on the proposed TIME Warner / Comcast Merger.